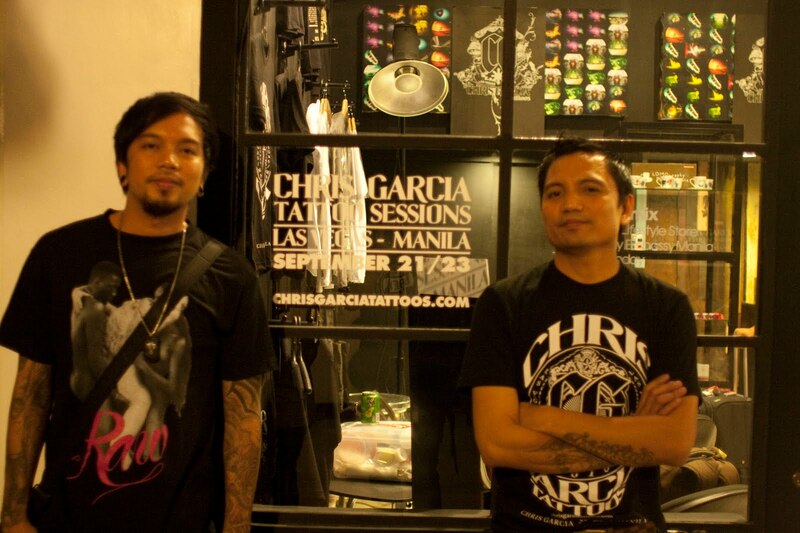 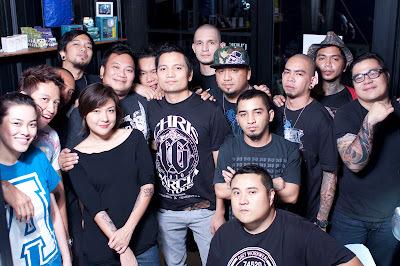 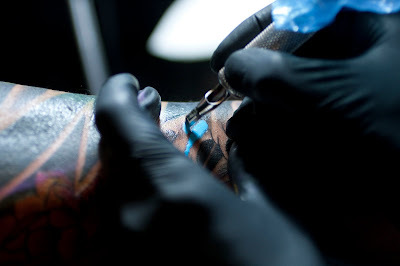 Comes home to Manila for a tattoo convention. 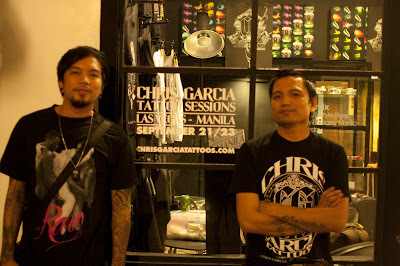 Mon of Team Manila saved me a spot for this long awaited session. 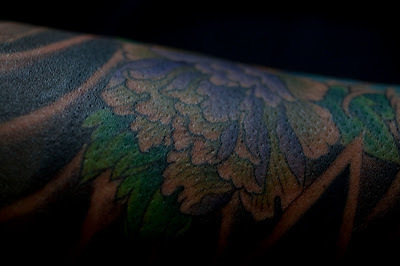 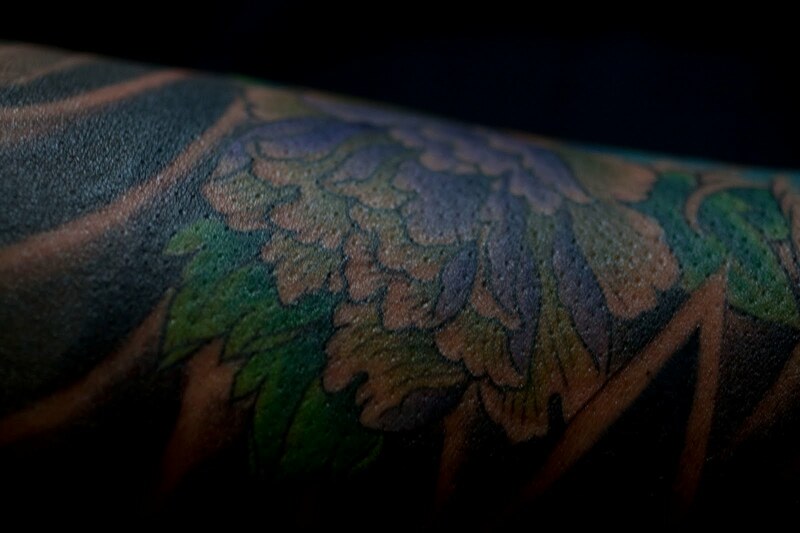 Mr. Garcia finishes my sleeve with peonies, finger waves and a lotus. 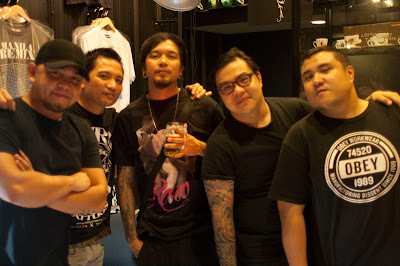 Pablo of P&P popped in the Lightning Inazuma style. The Whole P&P crew came to visit the session and give Mr. Garcia a courtesy call.